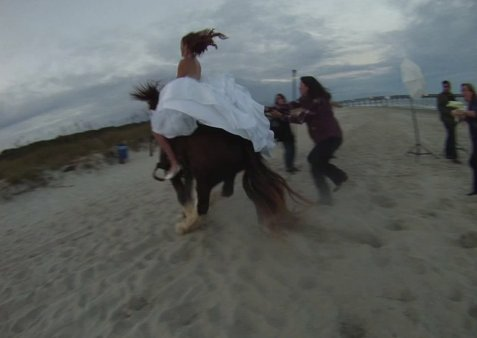 Bride thrown from horse in hilarious wedding shoot. 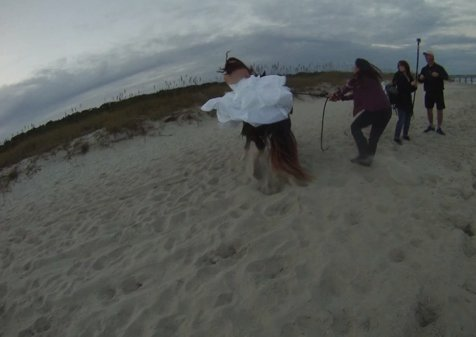 Whatever the bride wants, THE BRIDE BLOODY WELL GETS. 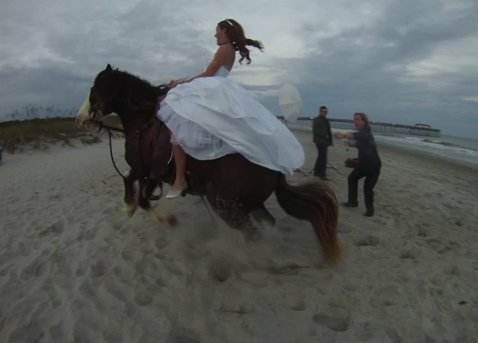 That was the attitude photographer Jarrett Hucks went into this wedding shoot with, when the bride informed him that she would like to be photographed sitting gloriously atop a majestic horse. In her wedding dress. On the beach. 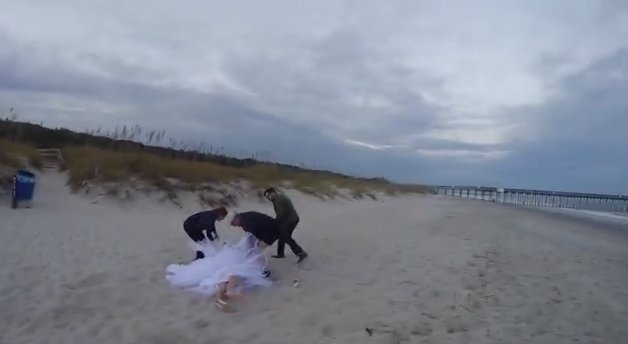 The photographer said that the bride wasn’t hurt other than a couple of bruises. 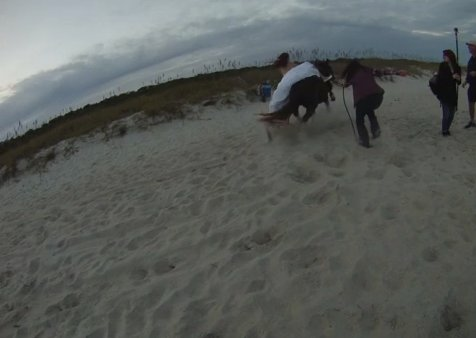 That horse is totally #sorrynotsorry though.